Four of the Best Waterslides in South Florida! 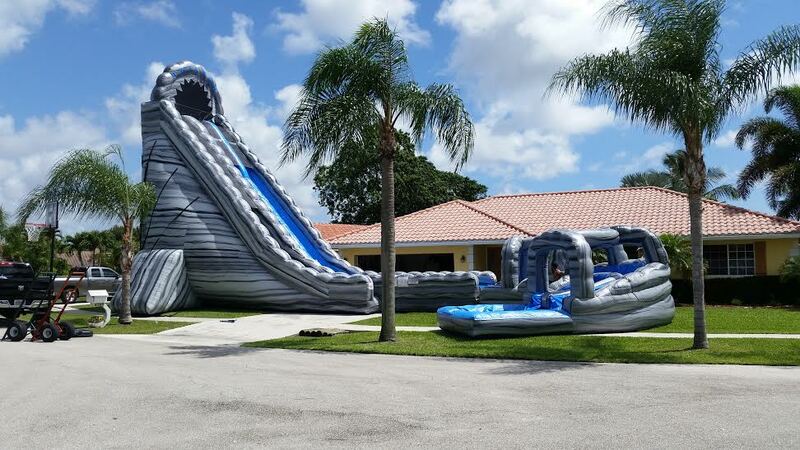 With the cooler temperatures finally passing and our warm Southern Florida weather is back to join us, there are more people contacting us for waterslide rentals. Why wouldn’t you want a waterside to be the main entertainment at any child/adult party or event? There are many great reasons to include one of these fun inflatables but we wanted to give you a snapshot of what our water slide features stand out compared to other bounce house vendors. The Twister towers over most single story houses at 40 feet tall it towers over the rooftops and lets every kid in the neighborhood know something really big is going on. The dual slides dip down into soft- durable nylon and vinyl plastic. This is the second largest slide in the world. The biggest inflatable water slide is only 5 feet tall that The Twister and is 183 feet long. The slide only takes minutes to set up and tear down. The end of this slide has a small obstacle course and ends in a shallow pool for wading in. Both kids and adults love this device as it lends a little excitement with its height, but is safe with the soft sturdy material it’s made with. 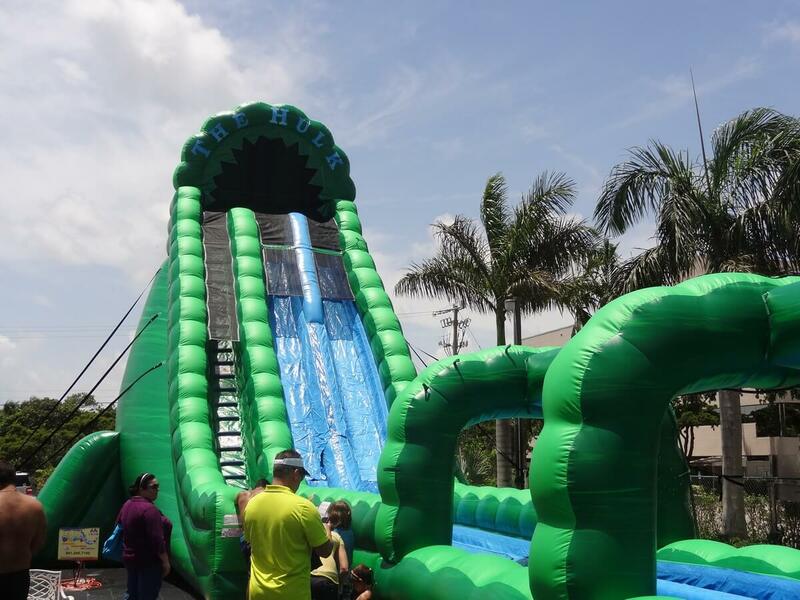 The Hulk is a super slide at 36 feet high and 100 feet of waterslide fun. At the end of the slide there’s a small pool that is great for even the little ones. This is a backyard attraction and you’ll need a substantial amount of room for this lengthy slide. Many of our school events select this model since it can accommodate larger parties. Contact us for estimates and area space requirements. The Mudslide gives your party that extra spin that provides hours of entertainment. This waterslide stands 30 feet tall and reaches the peaks of the rooftops. The vinyl canopy gives an attractive design. Decorative and safe bouncing columns are a nice addition with coverage from the sun, along with the ability to bounce off the giant inflatable structure. The ride ends with a splash in the wading pool. Our two lane Tsunami waterslide has an impressive height of 30 feet as well and offers bumpers on each side. A shallow pool waits at the end for the riders. The cool blue design stands out in any park or beach area. Our attendants are always on duty during your event to ensure your guests’ safety while they celebrate. All of our inflatables go through one of the deepest cleaning processes to keep your family and friends healthy. This inflatable like many of our waterslides and bounce houses require a clearing of 20 or more feet. Contact us for suggestions on which device will work best for your party.